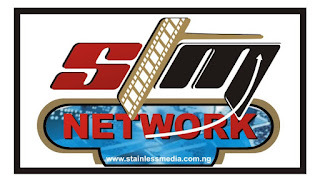 The idea of STAINLESS MEDIA News came about because of the passion of its promoters to float a very peculiar online news media that will herald the gospel of Nigeria to Nigerians and Globally. We are not just another regular news portal, our aim is to partner in the socioeconomic development of Nigeria all over the world. Professor Wole Soyinka once said, “The man dies in him who keeps quiet in the face of injustice”. STAINLESS MEDIA News will lead the voice in the establishment of sound policies and corporate culture in our institutions, we will stand up for human right, political and socio-economic development while seeking to educate, re-orientate and inform with a view to building an egalitarian and equitable society. We shall equally take a stand for institutionalized leadership and good governance. To lead the voice in the establishment of refined leadership, sound corporate culture, the right of every citizens and political and socio-economic development of our country by educating, re-orientating and informing with a view to building an egalitarian and equitable society.